Wednesday—the day where we can all be kick back, read, and learn about some hot new music. 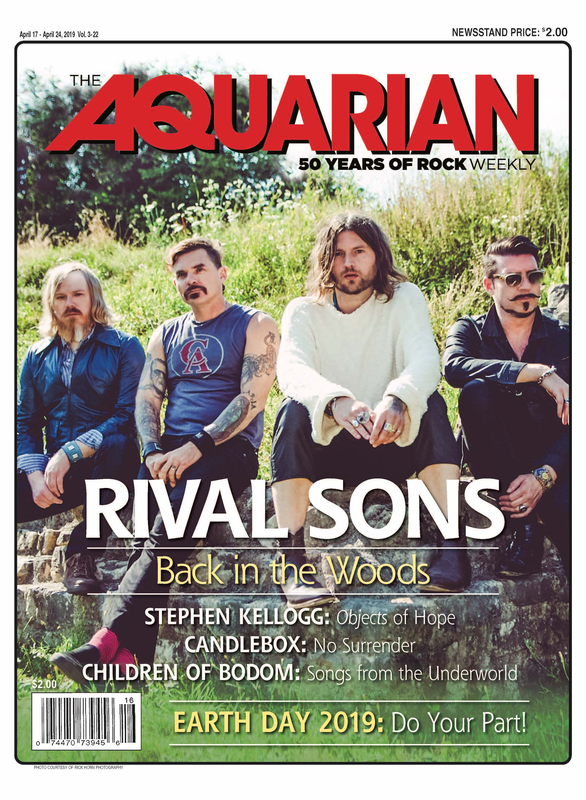 Whether it’s local, national, underground, heavy, indie, classical or whathaveyou, The Aquarian Weekly always has a way of drawing us in and keeping us in the know of what is happening in the scene. I am lucky enough to tell you all about some bands that are spiking my interest at the moment, week after week. This time around, I am going to write about a band that I have already featured in the Local Radar, but they put out a new record, so it’s time to regroup. They aren’t the same band as they used to be, for they are stronger in sound, fuller in catalogue, and richer in fanbase. They go by the name of Morningside Lane. Now, off the bat, doesn’t the name take you to a peaceful street filled with flowers and Pleasantville-like tendencies? Okay, maybe that’s just me yearning for a calm place, but they are the talented kids on the block, that’s for sure. Their new record, A Fifth Of Elvis, just came out, and not only is it available for free download, but it’s already receiving a ton of buzz (and rightfully so). First, I want to touch on the title. As we all know, Elvis is the King (no arguments there), so the fact they have admitted that they are 20 percent of him, I can take it (kidding boys, kidding). But, any group that may have a fifth of Elvis in them is okay by me. Keep in mind this may totally not be what the title means at all, but this is immediately where it takes my mind, and that is the beauty of it. We can all take ourselves to a place of understanding where the music is going to hit us the most, so I was immediately sold. I then decided to actually spin the disc, which started with the title-track. It’s a great way to kick off the record, as it’s filled with high energy and emotion. My favorite track on the record, however, has to be “Boardwalk,” and there are many reasons for this favoritism. I am a Jersey Shore girl through and through—not the TV show kind, but born and raised by the beach. The boardwalk has always been an important place to me, where I can think, relax, and get motivation. So many people can be around or you can have that long pathway to somewhere all to yourself, depending on the season. This track has a slower tempo, really showcasing the lead vocals and guitar, with some heavy drums pouring in. “I’ll wait for you, my love,” they sing on repeat, and I love those lyrics. You could easily apply this song to many situations in your life, whether a love story, a family member, a job, passion, or anything else. It’s really all how you take it, which is the complete feel here overall, so I highly recommend you check out this track. Next, completely switch it up with “He’s A Good Kid.” No, this isn’t our parents trying to defend people we went to high school with that we never liked telling us “people change.” It’s more of anthem telling people to open their eyes and look around, for “we don’t understand what we criticize,” which is the complete truth. And maybe, just maybe, at times our parents were right, as we didn’t understand who or what we were criticizing. Not only are the lyrics awesome on this track, but the guitar is my favorite here. It’s so catchy, with beats that will allow you to throw your fist in the air, clap your hands, and dance around. I think this is the song on the album that I would like to see live the most. Don’t forget to also check out “Twang 56,” for I could hear this track on the radio (in a very complimentary way). This entire EP is compacted with killer and no filler at all (no pun intended, Sum 41), and there is something enjoyable for everyone. Another element that is very appealing is you can tell when the tracks end and the next begin! I don’t mean to hate, but I think we can all agree there are a lot of records out there that we cannot tell the difference between songs, for they all sound the same. This is almost like a different band is playing on every song, and I am loving every second of it! I am so glad they sent me this link and I cannot wait for all of you to hopefully give it a download. To learn more about Morningside Lane and all of the cool things they have going on in their rock star lives, visit their Facebook page at facebook.com/morningsidelanenj. I know they would love it if you headed on over to their page, gave them a “Like,” and told them you found out about them in the Local Radar. After all, this band deserves to be put in the spotlight; they work their butts off and deserve all of the recognition they can get. It was a pleasure duplicating them in my column, for they always have something new and fresh for me to rant and rave about! Don’t forget you can always find them on Twitter, YouTube, and all over the web! No excuses here, for they are everywhere. They have a few spring dates listed in New York and Philly, and hopefully will be migrating their way to NJ very shortly for all of us fans! I will be back next week with another local act. In the meantime, you know my deal; I am going to demand you get off your butts and get to a show! I mean it, I am tracking you down (kidding, I am not really), but the scene starts with you, now show your support! Rock and roll!